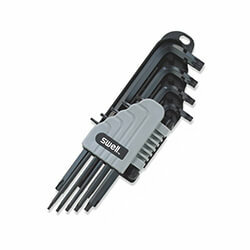 Utilizes open outlets clip structure, portable hand-carrying, and easy to handle. 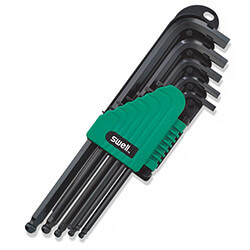 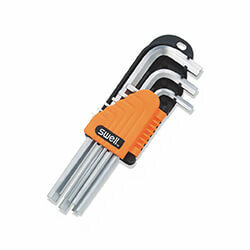 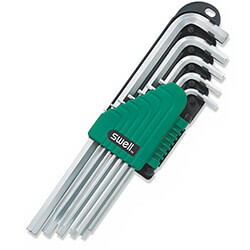 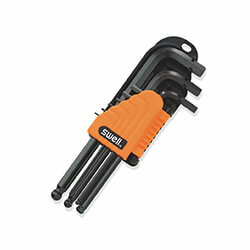 arrange wrenches in order from small to large size. reduce rate of lost wrenches. 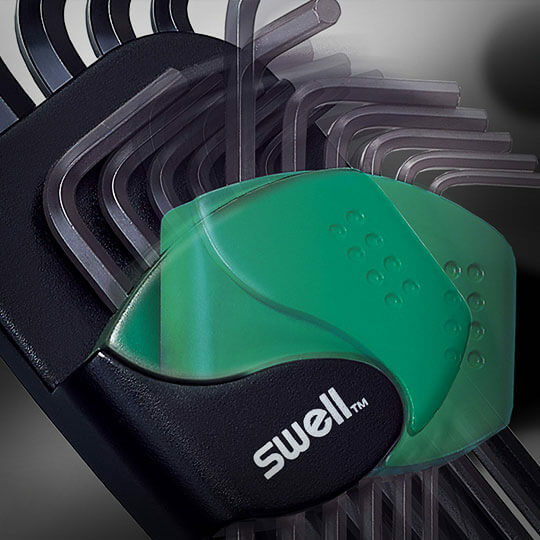 distance between keys are spaced according to the sizes of human finger tips. 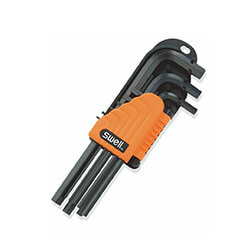 well-designed holder with a hole for easy hanging on the wall. 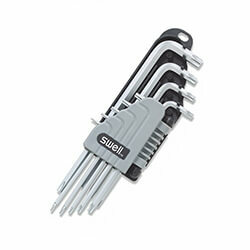 all sizes of L-keys are placed neatly in order to be accessible to use.